Licensed From – CNR Music B.V. Licensed To – CNR Entertainment B.V. Published By – Universal Music Publishing B.V. 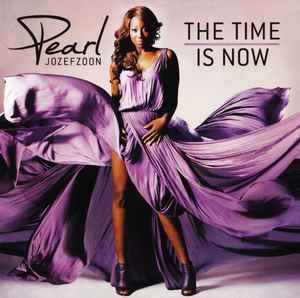 Promotional sampler CDr released in advance of the album Pearl Jozefzoon - The Time Is Now, which this CDr includes the first seven songs from. Came packaged in a card sleeve. Front artwork identical to the album cover. This sampler was sent out tin a press pack, containing a letter sized folder with the album's artwork on it, and a press release. Credits taken from the album release.